Flat Stanley and Arthur are excited to go ice-skating on the frozen lake. But when the weather suddenly warms up, Stanley finds himself skating on thin ice! Beginning readers will love following along with Flat Stanley's winter adventure. 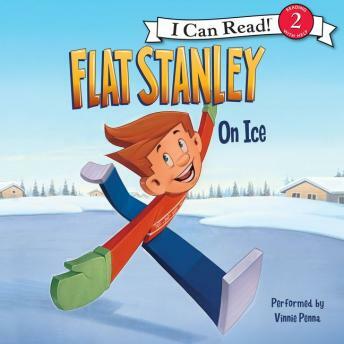 Flat Stanly: On Ice is a Level Two I Can Read book, geared for kids who read on their own but still need a little help.